Asian stocks had a muted start to trading Thursday as concern simmers about an escalation of trade tensions between the U.S. and China. Benchmarks edged higher in Japan, while South Korean shares were little changed. Australian stocks rose, cementing gains at an eight-year high. Futures in Hong Kong pointed to a muted opening. The Singapore-traded SGX Nifty, an early indicator of NSE Nifty 50 Index’s performance in India, traded 0.1 percent lower at 10,780 as of 7:35 a.m.
State Bank of India’s Managing Director B Sriram given additional charge of MD and CEO of IDBI Bank for three months. International Finance Corporation to invest Rs 200 crore in Mahindra Lifespace Developers’ Jaipur Project. InterGlobe Aviation clarified that it has not received summons from the Enforcement Directorate for FEMA violation. Majesco selected by Singapore insurance company for distributing solutions. Bayer-Monsanto takeover approved by Competition Commission of India. Gayatri Projects’ EPC order worth Rs 1,111 crore cancelled by Uttar Pradesh government. Adani Transmissions acquired 100 percent stake of REC subsidiary for Rs 17.93 crore. Prabhat Telecom announced bonus issue at 1:5. Record date at June 29. Axiscades Engineering Technologies signed joint venture pact with Assystem in energy and other sectors. Mahindra Life: To partner with IFC for Rajasthan Industrial Infra; IFC to invest Rs 200 crore in unit MWCL. GAIL India: Partners Uber to promote usage of CNG in India. Power Mech to meet IIFL Institutional Equities on June 21-22. Tata Steel to meet DSP Blackrock, Centrum Broking and HPS Investment Partners on June 21. MCX to meet Premji Invest on June 21. Kaya Ltd to meet SAIF Partners on June 21. Bajaj Holdings & Investment promoters acquired 146,512 shares from June 15-19. Centrum Capital promoter group acquired 2.4 lakh shares on June 18. Nandan Denim promoter Vedprakash Devkinandan Chiripal acquired 43,500 shares on June 18. Indiabulls Ventures: Steadview Capital increases stake in the company to 5.9 percent from 3.5 percent. Kwality: Board meeting to consider buyback/bonus issue rescheduled to July 3 due to non-availability of majority Directors. MRO-TEK Realty placed under ASM. Jubilant Foodworks ex date for 1:1 bonus. F&O lot size revised to 500. Emami ex date for 1:1 bonus. 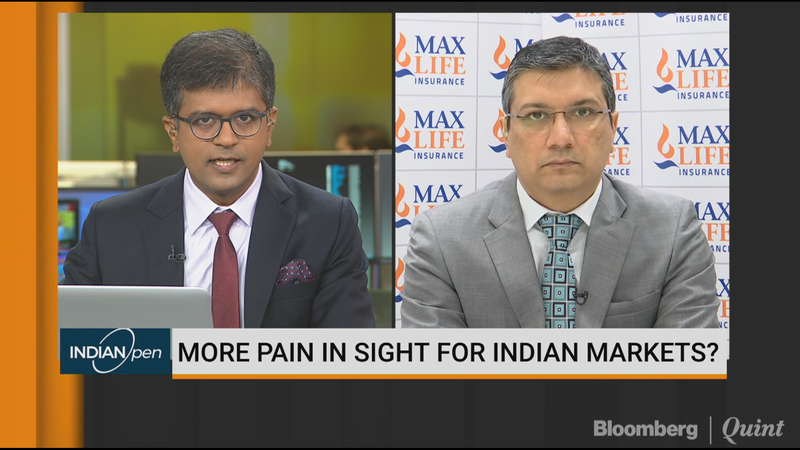 Max Ventures and Industries to trade ex rights basis. DCM Financial Services last trading day in T group. Fine Organic Industries continues on day 2. The issue is subscribed 0.12 times. RITES IPO continues on day 2. The issue is subscribed 0.59 times. Rupee closed at 68.08/$ on Wednesday from 68.38/$ on Tuesday. Nifty June futures ended trade at 10790, premium of 19 points. Max OI for June series at 11,000 Call, OI at 49.7 lakh. Max OI for June series at 10,700 Put, OI at 53.7 lakh. Nifty PCR at 1.56 versus 1.47. Nifty Bank PCR 1.05 versus 0.80. Maintained ‘Buy’ with a price target of Rs 655. Lloyd’s integration relatively smooth with several strategic changes. Focus on innovation-led growth to stay ahead of curve. The current financial year is likely to be decisive year for Lloyd as it starts new facility and expands. Upgraded to ‘Buy’ from ‘Sell’; cut price target to Rs 65 from Rs 76. Operational business rebound is apparent; Expect 20% EBIT CAGR over FY18-FY21. Cut EPS estimates by 18 percent and 34 percent for the current and the next financial year respectively to adjust for the delay in sale of international business. Stock adequately factored in delay in sale of loss-making international business. Among power equipment companies, CG Power is our only Buy. Upgrade to ‘Buy’ from ‘Reduce’: cut price target to Rs 66 from Rs 87. Upgrade driven by the strength of core business. Cut in price target cut to factor in deferment of Hungary deal by two quarters. Do not expect any payout from sale of remaining discontinued operations. After the recent selloffs, valuations cheap. Maintained ‘Buy’ with a price target of Rs 34,000. Vintage stores and launch of 650cc bikes are good long-term initiatives. Stable second hand prices and reducing average age of RE buyers are good signs. Current stock price factors volume growth compounding at 9-10 percent for 10 years which looks undemanding. Maintained ‘Buy’ with a price target of Rs 335. Low-cost plant to help drive growth into new markets. High automation to bring in operating leverage as volumes scale-up. Plant to reach Ebitda break-even in the first half of the current financial year. Expect debt reduction from March 2020 as company plans another Rs 3,500 crore capex in India. Hungary plants’ cost of production to be 15-20 percent lower. Europe profitability to improve as incremental volumes come from Hungary plant. Expect strong growth in India and a recovery in Europe. Apollo is our top pick within the tyre segment.